Four Bedroom Townhome in the heart of Overland Park. Two Master Suites with bathrooms & walk in closets. Two bedrooms on the main level. The Seller uses the 2nd bedroom for an office. Three full bathrooms. Main level laundry. Two refrigerators, washer and dryer stay with the house. Newer HVAC, Roof, & Double Hung Windows. No water bill! HOA pays the water! Two car garage. Large Finished basement. Lots of storage. Park right down the street. Pool and Clubhouse. MOTIVATED SELLER! Investors, this can be a rental. 119th east to Switzer. Right on Switzer. Turn east onto W 123rd St. Turn left onto Grant St. Turn right onto 122nd St. House is located on the right. 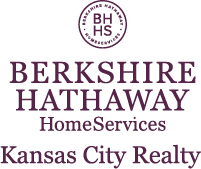 I am interested in 9411 W 122nd Street, Overland Park, KS 66213.